Oakland County, in southeastern Michigan, is making rich information available to the public through its Access Oakland open data portal. 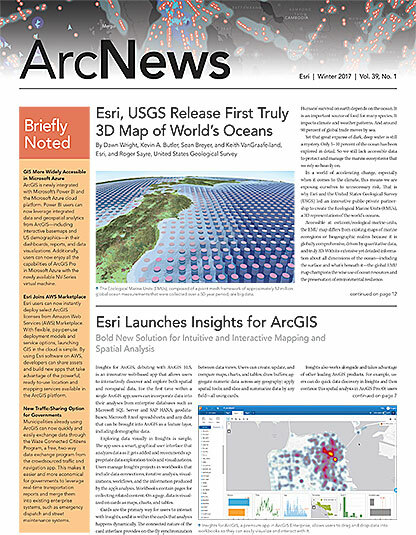 The county built the portal using ArcGIS Open Data, an Esri-hosted and managed solution included with ArcGIS Online. Oakland County, Michigan, built the Access Oakland open data portal using ArcGIS Open Data, which is hosted and managed by Esri. Oakland County executives say the Access Oakland open data portal increases civic engagement by enabling government agencies, residents, businesses, and other community organizations to share data. Transparency, inherent in the portal, increases trust and improves relationships. Businesses and other organizations can use government data to promote economic development. Citizens can go to Access Oakland to find property information, such as addresses and boundaries, as well as parks, trails, and floodplain locations. The portal also includes ready-to-use apps that help residents find fun places, such as cider mills or campgrounds, and functional locations, such as where to dispose of expired or unneeded prescription medications. People can also explore or download data to use in their own maps and apps. 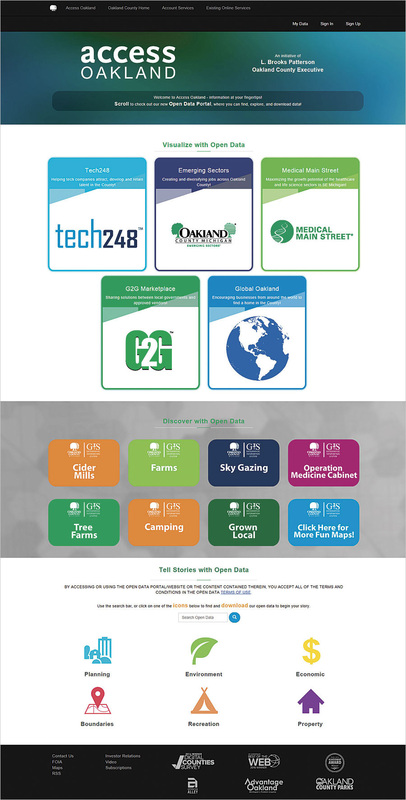 Interactive maps on the open data site highlight key Oakland County initiatives as well, like Tech248, a program to attract and foster talent at local tech companies, and Medical Main Street, an effort to maximize growth for area health care and life science sectors. The portal is expected to reduce costs across the county and save the time it typically takes to obtain data. All data on the portal is free of charge and free from use restrictions. The county’s GIS mission is to provide a progressive, location-based solution that promotes informed decision-making, improves citizen services, and encourages collaboration across all levels of government. The open data portal is one way the county is working toward that mission. ArcGIS helps the county maintain a mature GIS composed of more than 350 datasets that, together with other nonspatial data, supply a rich source of information used to perform governmental duties and provide services. “Making these datasets widely available benefits both the private and public sectors by reducing costs; reducing the time involved in obtaining the data; and providing agencies with the most accurate, up-to-date information for use in their business processes and decision-making,” said Phil Bertolini, the Oakland County deputy executive and CIO. See how ArcGIS Open Data can improve transparency at your organization.